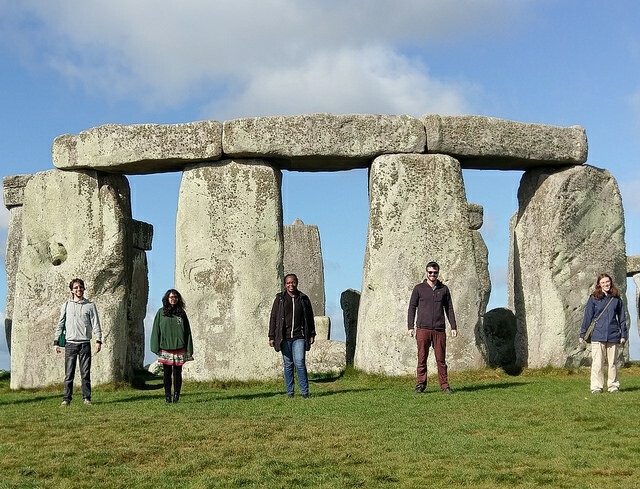 Students at the Department of Archaeology are part of a diverse research community. Our course encompasses Archaeology, Assyriology, Biological Anthropology and Egyptology. Its flexibility means you can either specialise from Year 1, or opt for a broad start before concentrating on up to two subjects from the second year. Archaeology uses material evidence, from molecules to monumental structures, to explore the human past and understand past societies. Our Archaeology degree is one of the most dynamic of its kind. Our staff are at the forefront of research, involving students through fieldwork and research projects. Our fantastic resources include purpose built laboratories, dedicated libraries and a well-equipped IT suite. In addition, the Museum of Archaeology and Anthropology and the Fitzwilliam Museum provide access to extensive collections of primary sources of world importance. We also have a dedicated professional field unit, the Cambridge Archaeological Unit. Full course details are available on the Department of Archaeology website. If you have any queries about the field trips and/or resources/materials, please contact the Department. A few students, with the relevant approval from their College and Course Co-ordinator, choose to transfer course, usually to HSPS or PBS, after Part I. Students from other courses may also be able to transfer to Archaeology, but will require consultation and approval. Students from HSPS or PBS may be able to transfer to Archaeology after Part I. Our course offers the theoretical foundation and training in standard methods and specialised techniques required for academic and professional practice. The intellectual versatility and transferable skills that our students develop – such as the ability to think critically, analyse texts, handle data and work collaboratively – mean they’re widely sought after by employers in many related and unrelated fields. Graduates have gone on to work in the commercial archaeology sector as well as museums, commerce, diplomacy, advertising, media, conservation, health and further academic study among others. This course outline information is correct as of February 2018. However, prospective students should be aware that there may be some changes to the course for 2019 entry. You’re assessed each year, principally through written exams but some papers include assessed practicals/fieldwork. Fieldwork from Year 2 is compulsory unless otherwise stated. Most students also write a 10,000 word dissertation in Year 3. You pick three from seven core archaeology, language and biological anthropology options (certain papers are advised for some Year 2 subjects) – see details online. Your fourth can be another core subject paper, or you can choose a psychology, social anthropology, politics or sociology option. All students go on a compulsory two-and-a-half-week training dig with the Cambridge Archaeological Unit, usually in Cambridgeshire. You can pursue one of four single-subject tracks (see below) or one of two two-subject tracks – Archaeology and Biological Anthropology, or Assyriology and Egyptology (details online). You take two papers in theory and practice, and data analysis; one covering the archaeology of a particular period or region; and either another period/region paper or one from Classics or Human, Social, and Political Sciences (HSPS). Fieldwork consists of a week overseas at Easter. You complete four weeks of fieldwork in the summer before Year 3. All students study advanced archaeological thought, archaeology in the wider world a combination of year-long and one-term Special Topic papers from options within this course, Classics or HSPS. All students also write a dissertation. You take four papers: Mesopotamian archaeology, Babylonian language, and two from other course options (one can be from Classics or HSPS). You also undertake a four-week study tour and/or fieldwork. You take advanced Akkadian language and Mesopotamian archaeology papers; and one on Mesopotamian history or culture, or Sumerian language. The fourth is one of around 20 options available or a dissertation. You take papers in Egyptian language and archaeological methods and concepts, plus two papers on society, religion and death in Ancient Egypt. You also undertake a four-week study tour and/or fieldwork. You take four papers which explore behavioural ecology, human origins, health and disease, and biological anthropological methods. You may replace one of these with an option offered elsewhere in this course, HSPS or Psychological and Behavioural Sciences. You take a core theory and practice paper and write a dissertation. You also take between two and four option papers (depending on length). These can include a paper from HSPS. For further information about studying Archaeology at the University of Cambridge see the Division of Archaeology website. See Archaeology: Subject Requirements and Typical Offer by College for College-specific requirements/preferences. All undergraduate admissions decisions are the responsibility of the Cambridge Colleges, so please check College websites for further details. All applicants for Archaeology are required to take a written assessment at interview, if interviewed. Division of Archaeology webpage - Find out more about Archaeology on the Division of Archaeology website. Research interests of the Archaeology department - Cambridge is home to one of the world’s largest communities of archaeological researchers. Archaeology course structure and events for the Archaeology undergraduate degree - Find out more about the Archaeology course structure and events. The McDonald Institute for Archaeological Research - The McDonald Institute for Archaeological Research exists to further research by Cambridge archaeologists and their collaborators. Egyptology - Find out more about Egyptology on the Division of Archaeology website. Assyriology - Find out more about Assyriology on the Division of Archaeology website. Biological Anthropology subject overview - Information for students considering studying Biological Anthropology. What is biological anthropology? - Further information about what the study of Biological Anthropology involves.